Square Small Luxury Hotel is a different hotel, with the character and sophistication of the most luxurious hotels plus an original and creative concept that will make your stay a truly remarkable experience. Among the best luxury hotels in Guadalajara, Mexico, Square Small Luxury Hotel sets new standards for quality; it is a modern and minimalist style 5-story property built with innovative materials of the highest quality, with an exclusive interiors design that blends classic and contemporary touches. 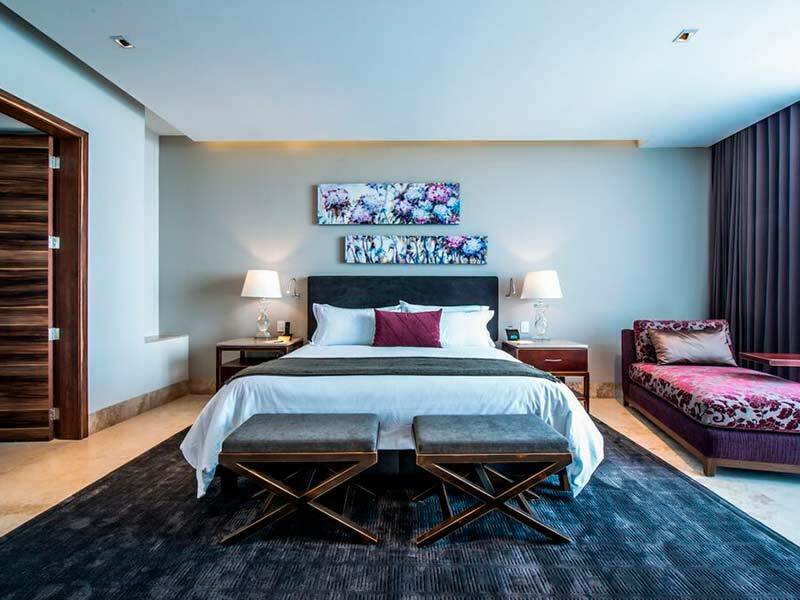 Designed to beat everyone’s expectations, Square Hotel Guadalajara is a top choice for modern executives and families that prefer luxury and good taste. Intimate luxury guestrooms outfitted with a thoughtful selection of services will be your best alternative of Guadalajara accommodation. We have 40 rooms and suites with unique design, simply impeccable, where every single aspect is carefully planned in order to achieve your comfort; in these options you’ll find the creative, inviting spaces that distinguish Square Small Luxury Hotel, as well as unmatched comforts, including 50’’ Smart TV’s, Nespresso Coffee Machines, minibar and Wi-Fi. Our location on the west side of Guadalajara, Jalisco, on the Mexico Avenue, is one of our most attractive features as we are within a short walk from Galeria del Calzado, Plaza Mexico and the most important banks, and within a short driving distance too from the Historic District, the Gran Plaza Fashion Mall and Expo Guadalajara. Undoubtedly, Square Small Luxury Hotel is known among luxury hotels in Guadalajara, Mexico for giving a new meaning to the expression “personalized service”. With us you’ll get the right information and orientation from our Concierge, who will be more than happy to provide advice in order to make your stay the most pleasant one; working out at the gym, taking a dip in the pool, enjoying tasty cuisine at Sky Bar in the hotel’s terrace or meeting and greeting in our meeting room are also great options you have at Square Hotel. Swimming pool, open everyday from 8:00 to 20:00 hours.